View Cart “Ozark National Forest Service Ownership (polygon)” has been added to your cart. This dataset contains point features representing the approximate location of tax parcels contained in County Assessor tax rolls. Individual county data was integrated into this statewide publication by the Arkansas Geographic Information Systems Office (AGISO). The Computer Aided Mass Appraisal (CAMA) systems maintained in each county are used to populate the database attributes for each centroid feature. 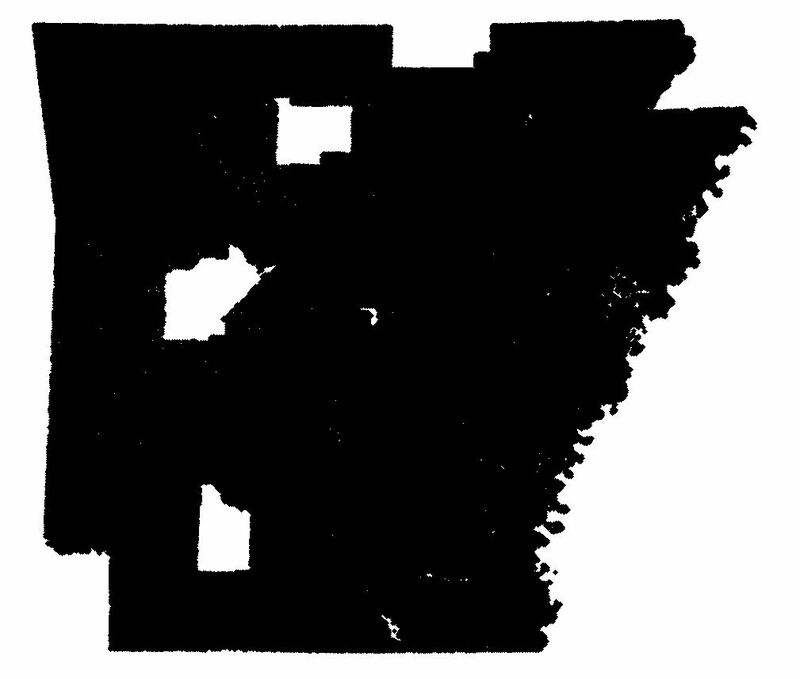 The entity attribute structure conforms to the Arkansas Cadastral Mapping Standard. The digital cadastral data is provided as a publication version that only represents a snapshot of the production data at the time it was received from the county. Published updates may be made to counties throughout the year. These will occur after new data is digitized or updates to existing data are finished. Production versions of the data exist in the various counties where daily and weekly updates occur. Users should consult the BEGIN_DATE attribute column to determine the age of the data for a given county. This column reflects the date when AGIO received the data from the county. Only parcels with an associated Computer Assisted Mass Appraisal (CAMA) record are provided. This means a CAMA record may exist, but no point geometry or vice-versa. Cadastral data is dynamic by its nature; therefore it is impossible for any county to ever be considered complete. The data is NOT topologically enforced. As a statewide integrator, AGISO publishes the data but does not make judgment calls about where points or polygon lines are meant to be located. Therefore each county data set is published without topology rules being enforced. GIS Technicians use best practices such as polygon closure and vertex snapping, however, topology is not built for each county. Users should be aware, by Arkansas Law (15-21-504 2 B) digital cadastral data does not represent legal property boundary descriptions, nor is it suitable for boundary determination of the individual parcels included in the cadastre. Users requiring a boundary determination should consult an Arkansas Registered Land Surveyor (http://www.arkansas.gov/pels/search/search.php) on boundary questions. The digital cadastral data is intended to be a graphical representation of the tax parcel only. Just because a county is listed does NOT imply the data represents county wide coverage. AGIO worked with each county to determine a level of production that warranted the data was ready to be published. For example, in some counties only the north part of the county was covered or in other cases only rural parcels are covered and yet in others only urban parcels. The approach is to begin incremental publishing as production blocks are ready, even though a county may not have county wide coverage. Each case represents a significant amount of data that will be useful immediately. Users should consult the BEGIN_DATE attribute column to determine the age of the data for a given county. This date reflects when the data was received from the county. Digital cadastral data users should be aware the County Assessor Mapping Program adopted a phased approach for developing cadastral data. Phase One includes the production of a parcel centroid for each parcel that bears the attributes prescribed by the state cadastral mapping standard. Phase Two includes the production of parcel polygon geometry and bears the standard attributes. 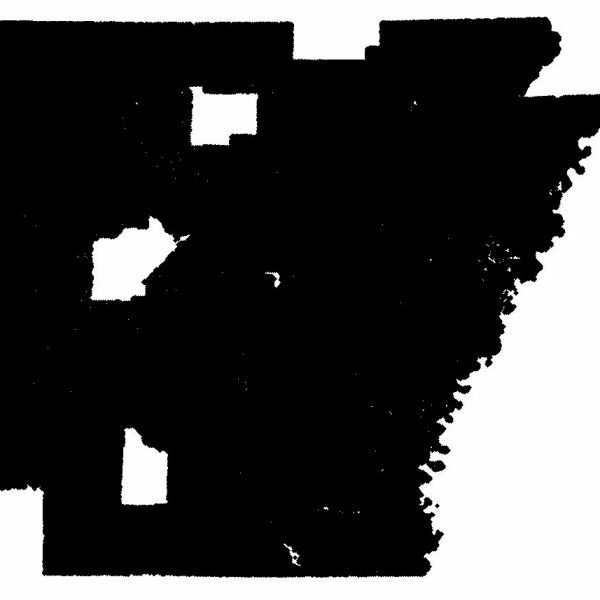 The Arkansas standard closely mirrors the federal Cadastral Core Data Standard established by the Federal Geographic Data Committee, Subcommittee for Cadastral Data. Counties within this file include: Arkansas, Ashley, Baxter, Benton, Boone, Bradley, Calhoun, Carroll, Chicot, Clark, Clay, Cleburne, Cleveland, Columbia, Conway, Craighead, Crawford, Crittenden, Cross, Dallas, Desha, Drew, Faulkner, Franklin, Garland, Grant, Greene, Hempstead, Hot Spring, Howard, Independence, Izard, Jackson, Jefferson, Johnson, Lafayette, Lawrence, Lee, Lincoln, Little River, Logan, Lonoke, Madison, Marion, Miller, Mississippi, Monroe, Montgomery, Newton, Ouachita, Perry, Phillips, Pike, Poinsett, Polk, Pope, Prairie, Pulaski, Randolph, Saline, Scott, Sebastian, Sevier, Sharp, St. Francis, Stone, Union, Van Buren, Washington, White, and Woodruff.